Did you know that there are only two forms of energy that aren’t derived from the sun? Other than nuclear and geothermal power every other energy source we use (wind, solar, fossil fuels, etc.) was derived using either past or current solar energy. 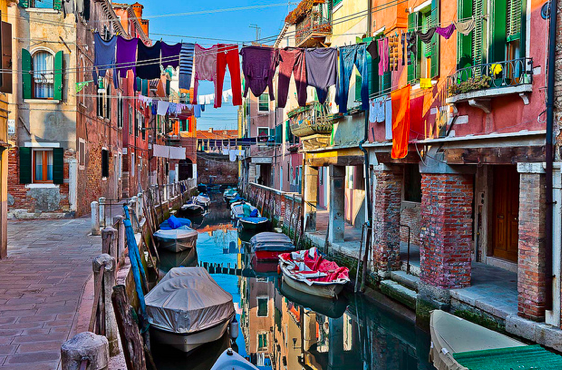 If the sun can do all that, it can certainly help dry your clothes! For most of us in the US, line drying clothes carries a strong undesired stigma of poverty. Many cities restrict or even ban line drying. Dryers, however, constitute the 2nd biggest energy hog in our homes. Up until World War II, clotheslines were abundant here and globally until this modernized appliance, “the tumble dryer” was created. The “right to dry” movement heralded by Project Laundry List since 1997 has been trying to change negative attitudes towards clothesline drying. They have even created a National Hanging Out day (April 19th). This week, ditch the conventional commercial clothes dryer and make the switch to Mother Nature’s pollution-free AND no-cost drying option. Get unplugged and hang up a clothesline outside or set-up a drying station indoors. In my tiny house on wheels I use my shower curtain dowel, and a nifty set of drying dowels under one of my lofts. This will reduce the carbon footprint calculation you took at the beginning of this year by 684 lbs. with the added bonus of annual costs savings of $185-$481 per person. Not to mention the fact that viruses are killed by the sunlight, we get some exercise in the open air and our clothes last longer. For open-air drying, the heat source is the sun. Drying, on a day without breeze, is due to the sun heating the water molecules directly, providing the energy for escaping the clothes fabric. But on windy days drying times can be much faster, because air currents greatly increase evaporation of the water molecules. The summer in New England, my clothes dry in an hour! 1. Indoor Clotheslines – These are inexpensive and easy to install. Retractable models (with 1-5 lines) can hide behind a shower curtain or in the basement. Or try portable umbrella styles or other foldable varieties. 3. DIY or Decorative clotheslines – Design your own clothesline by recycling/repurposing materials, check out the Levi Jean “Care to Air” design winners. 5. 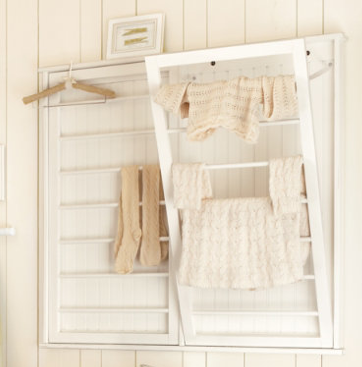 Radiator drying-clothes can be easily spread out, so their surface area is greatly increased. Also, any air currents (someone walking passed, doors opening/closing) will help with evaporation. There may be a little increased humidity, but a window can be left very slightly open if a problem. Remember to take a moment to celebrate the Summer Solstice, on June 21st of this week. I heard that Stonehenge is providing free managed open access this year. This entry was posted in 52 Sustainability Exercises and tagged sustainable clothes drying by terrabluteams. Bookmark the permalink.